By default, ClickUp now sets the most recent image as a preview in Board view. 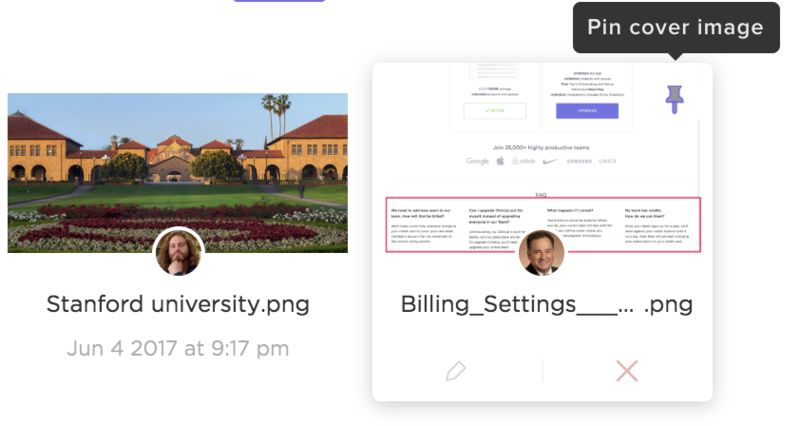 You may also customize which image is always shown by Pinning an image to a task. When you open a Task, this image will be shown at the top - front and center. PS - don't want to see images in Board view? You don't have to - we made it optional. Dragging a task through the board will automatically hide columns where the task can't be dragged to. Archiving a task removes it from view but allows you to restore it at anytime. All tasks are preserved and are still searchable. + bulk archive tasks with the Multitask Toolbar or an entire column in Board view. Get rid of the noise! You now have the option to hide all columns that don't have tasks, so you can declutter and see what matters.